Previously I explained how important the choice of coffee should be when opening a speciality coffee shop. From the beginning we wanted only South and Central American coffee beans. This is harder than it seems. Most roasters have become accustomed to either doing a single origin coffee or blending across the continents. 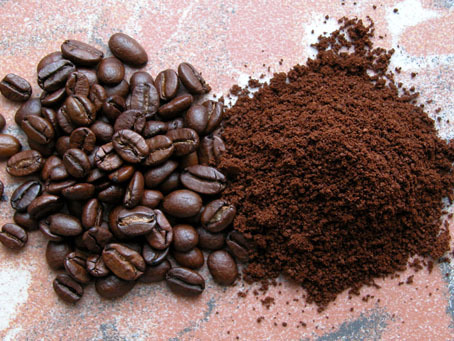 Single origin usually comes from one farm or from one country. However, most blends today include a percentage of African or Asian beans to control the variance in a profile. It rounds off the overall taste in a number of ways. Being difficult, I insisted on blends of at least three to four South or Central American countries, with a smooth, full-bodied taste. As mentioned in the Research entry, we sampled until coffee surged through our veins. Knowing how to prepare coffee is non-negotiable. Not only does it assist in the initial outlay of your shop, but it will raise some interesting questions. Any businessman planning to open a coffee shop, MUST know how to make a decent coffee. If you do not understand how to operate an espresso machine, then how would you execute training, maintenance or improvements within your business. Don’t get me wrong, I’m not telling you to man the machine and to play casual the whole day. But how will you manage a barista when the barista has to train you? You need to be able to spot wastage and create a solution to curb it. More importantly, you are selling coffee. You must be able to see when something is wrong with the end product or when it has been prepared incorrectly. Please don’t skip the training. Invest in yourself. 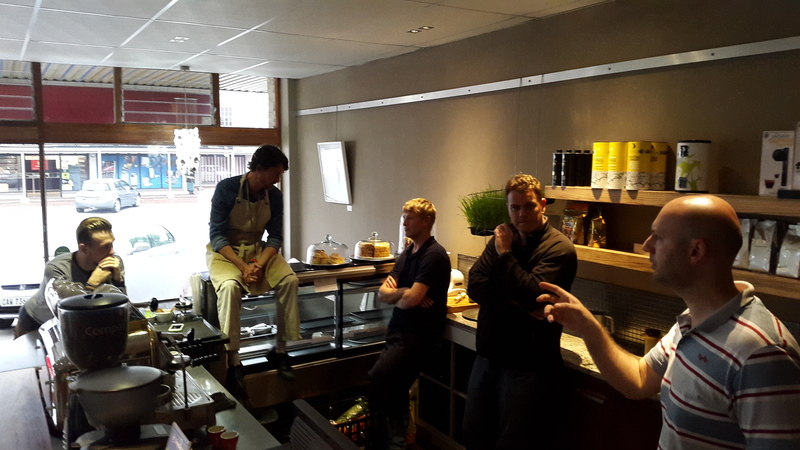 We consulted Kelvin, the master barista from Caloroso, to give us an introduction to the art of coffee-making. He has a passion for the industry and is always keen to share his experience with fellow coffee folk. Kelvin from Caloroso and Shaun from Famous Brands testing shots for consistency. Let me use an example to explain why you should know the basics. As a writer I frequent coffee shops. One of my preferred drinking spots serve a mean flat white. I will never forget the day I ordered my regular and received a very unpleasant experience instead. When I asked why the coffee was so bad compared to other days, I was told the barista was off sick and the owner was making the coffee. Case in point. Understand the machine. Then there is a last point to consider under this entry of opening your own shop. Align yourself with industry experts. Become a member of a coffee organization or institution that would best compliment your approach. For us it was the Speciality Coffee Association of South Africa (SCASA). There are a number of organizations across the world, so do a bit of homework. You will find yourself immediately exposed to a team of experts who wants to assist you for the sake of coffee. At this stage of the game you need all the experience you can get your hands on. Very Good Views. Appreciate it!